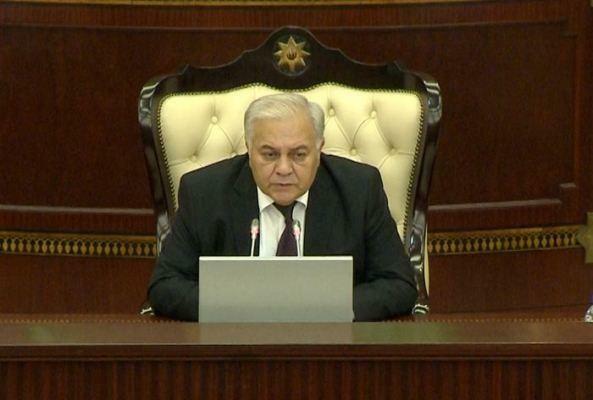 Speaker of the Azerbaijani parliament Ogtay Asadov has expressed gratitude to Chairman of Turkey’s Grand National Assembly Binali Yildirim during a plenary session of the parliament, Trend reports. Asadov said that Turkey’s Grand National Assembly prepared a coin in connection with the 100th anniversary of the Azerbaijan Democratic Republic and the Azerbaijani parliament, which was presented to the MPs. "On our behalf, we express gratitude to the chairman of the parliament of the fraternal country," Asadov added. Then Asadov congratulated Azerbaijani MP Zahid Oruj on the occasion of his appointment to the post of chairman of the Social Research Center.